Is it possible for a plant to be exposed to too much light? Caution is the operative word for potted plants. However, various cut flowers and vegetable crops are able to cope with much more light than currently thought. Provided that the light is properly distributed. However, this question deserves a more nuanced answer. This is because many aspects are involved here. First, the crop itself is of course of major importance. There are highly light loving crops, such as roses, chrysanthemums, tomatoes, bell peppers, and cucumbers. In principle, they are able to cope with a great deal of light, provided a range of conditions has been met (see further on in this article). At the other end of the spectrum, there are the true shade plants, such as potted plants that originally grew on the tropical forest floor. These plants have a low optimal light level. However, research shows that they can really cope with more light than the maximum allowed in actual practice. Here too, provided that a number of (strict) conditions is met. Aside from the different crops, there are various aspects that determine the light's level of intensity and the optimal light sum. All crops perform best when conditions do not change too rapidly. Plants have been surviving for years and have all kinds of mechanisms to protect themselves. This includes many delaying processes so that they do not immediately react too strongly to every change. This means that they are always lagging behind somewhat in the event of rapid changes. This is why they perform best in a uniform climate. There is an important exception: plants react very fast to a sudden significant increase in light level. To protect themselves against possible light damage, the photosynthesis mechanism temporarily shuts down: the antennas used to absorb the light fold down. When the light level subsequently declines, it still takes 10 to 15 minutes before the antennas once again deployed. 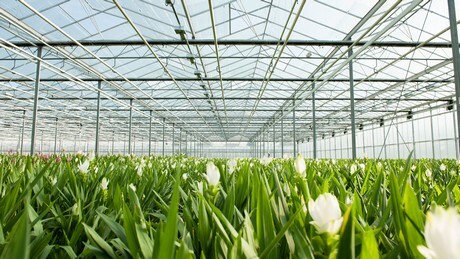 This phenomenon, which is very useful in nature, causes high production losses in a greenhouse. In a greenhouse in the sun, you will see bright light spots alternated by shade. The light spots shift all the time due to the movement of the sun. The result is that there are always leaves with an activated light protection mechanism. These leaves therefore temporarily do not assimilate any light or only very little. This is easy to prevent with a diffuse coating such as ReduFuse (IR). This coating solves the problem of shifting light spots. Research shows that, in addition to the fact that the light penetrates further into the crops, uniform horizontal light distribution is an important reason why crops produce better below ReduFuse. For a proper understanding of what a crop can cope with, it is furthermore important to make a distinction between light damage and heat damage. The former occurs far less frequently than the latter. When a leaf really receives too much light, free radicals are formed. These are harmful substances that affect the proteins, membranes and the DNA in a cell. This causes the cells to die off. The top of the crop especially can be affected by this, but there is a solution for this as well: better light distribution. A diffuse coating ensures that the top receives less light and that the lower leaves receive more light. These leaves then become more active, while preventing damage at the top of the crop. However, often the problem for the plant is not the quantity of light, but the rise in its temperature. Plants, for the most part, consist of water. Blue, green, yellow, red and far-red light colours simply pass through water, but that is not true of infrared. This light heats the water causing the plant's temperature to rise. When there is a lot of light there also is a lot of infrared, which can cause real heat damage. The photosynthesis stops, the plant's balance is disrupted and visible damage to all of the plant's components can occur. The solution for this is to reflect infrared in order to prevent excessive heating. This can be done with ReduHeat or ReduFuse IR. This way, you can benefit from the light colours responsible for photosynthesis (the PAR light) and at the same time prevent heat damage. In other words, it is possible to partially uncouple light and temperature from each other. However, this approach has its limits in the mid-European continental climate. In the middle of the summer, it is already so hot outside here that the crop's remaining heating margins are small. In this case, you cannot dispense with full shading. The best approach then is to apply ReduFuse in the spring and, if necessary, prevent light peaks now and then using the moveable shading. Next, a small layer of ReduSol is applied on top of the diffuse coating in the summer. While this will reduce the quantity of light, it is better to play it safe in harsh climates. 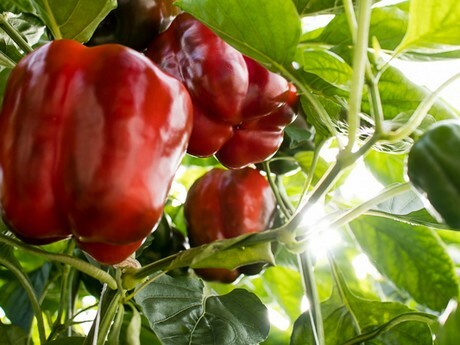 From the practical experience and various investigations conducted by Wageningen University & Research (WUR) it is evident that certain varieties of plants and crops are able to convert more light into a better end result (production and/or quality). 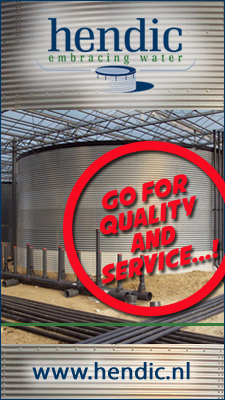 To achieve this does require optimal climate conditions for the relevant crop, however, such as greenhouse temperature and humidity. The ReduWizard takes the many aspects that play a role in the light needs of each crop into account. The app calculates its basic advice in line with various factors, such as location, crop, and greenhouse characteristics. If you are curious about the advice ReduWizard has to offer for your particular situation, give it a try. 2019-04-17 PGRs for growth regulation of Buddleia spp. 2019-04-09 "Switching to hydroponics also possible when land doesn't have the proper slope"
2019-04-02 "It helps our plants to thrive"
2019-03-18 "Immense potential for tulip cultivation"
2019-03-15 "With these cubes rejection of seedlings will be lower"
2019-03-01 "Boom in edible flowers is sweeping Japan"
2019-02-22 "We have made research affordable"
2019-02-12 "Earn more money with better planning"